American Recovery Service congratulates its very own SVP Cortney Osborne for her recognition as one of the first Women in Auto Finance as announced in the September/October issue of Auto Fin Journal. As one of the shining Women in Auto Finance, Cortney exemplifies her company’s core values of uncompromising integrity and excellence in service. Her strong work ethic and her in-depth knowledge operating in the Nationwide Repossession Portfolio Management space play a key role in the successes shared by the ARS Team. Starting her career at the ground level and working her way through the ranks, Cortney has played an integral role in every department in the company. Her dedication and unwavering commitment eventually lead to her achieving the position as Senior VP of Operations. Her level of excellence and partnership has paved the way to earning successful working relationships with her staff, peers, and client partners. 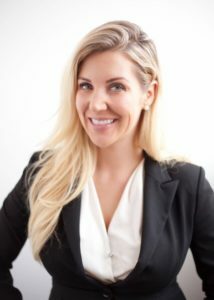 Cortney’s experience and expertise have grown throughout the years, making her one of the leading women in the auto repossession industry and a great role model for other young women starting their careers in the auto-finance industry. In addition to Cortney’s feature in the Auto Fin Journal Women in Finance announcement, she will be moderating a panel discussion along with other honorees during Used Car Week in Scottsdale, AZ this November 12-16.